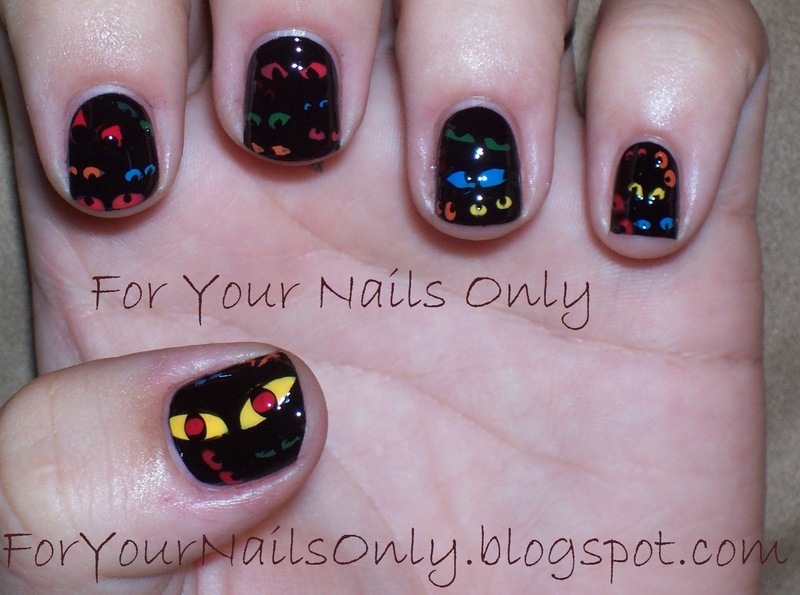 This entry was posted in Nail Art, Reviews and tagged black, blue, Color Club, creme, glitter, gold, green, Illamasqua, Nina's Ultra Pro, OPI, orange, red, shimmer, white, yellow, Zoya by Tara. Bookmark the permalink. I know they are monster eyes, but also the partnership of cats in the dark! Hee hee! Monsters under the bed nails. :) But, cute monsters. Love the I see you eyes. Reminds me of Alice in wonderland when she is lost in the dark forest with all the eyes looking at her. (animated version of course).